So you’ve found great kitchen equipment at what seems to be a good price. You may be tempted to make a purchase right then and there, but first ask yourself—“Do I need it?” Think about the capacity limitations of your kitchen environment, as well as if the unit you are considering can perform various functions to better minimize future costs. There is a reason why health departments only want commercial grade equipment used in commercial kitchens—and that is because the equipment is simply made better. Compared to residential grade equipment, commercial-grade means higher quality, easier to clean, and lasting durability. If you have some wiggle room in your budget, give commercial-grade equipment a high budget priority. 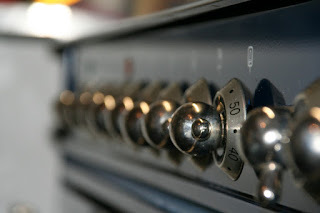 Resist the urge to lowball an offer for cheaper, used kitchen equipment. Used equipment components are already subject to wear and tear, and may end up costing more if faulty components require replacing. Additionally, purchasing new equipment comes with a warranty to guarantee a predictable time period of component support. There is nothing worse than spending a large amount of money on a defective item, so make sure your initial purchase is worth it. While it may be tempting to buy the most expensive, highest quality piece of equipment available, it also makes sense to stick to a realistic budget plan. Don’t overspend and regret not being able to buy the equipment necessities. Nice tips. This is very useful. Thanks for sharing. Very nice post. wonderful ideas you shared, Thanks! Great tips. This is very useful. Keep sharing such a useful post. Very informative post on "Tips For Buying Restaurant Equipment".